﻿ Best Price on Blue Orchids Beach Hotel in Christ Church + Reviews! 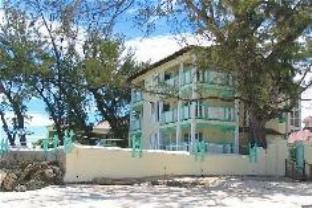 Blue Orchids Beach Hotel is on Worthing beach, on Barbados’ south coast. It offers a gym, outdoor pool and free Wi-Fi. Studios feature a terrace with beach and ocean views. Each air-conditioned studio has a fan and sitting area with cable TV. The kitchenette includes a fridge, microwave and coffee maker. The private bathroom comes with a hairdryer and toiletries. Breakfast is available at the Blue Orchids Beach Hotel. There is an à la carte restaurant and a bar. A short walk away you will find shops and a 24-hour mini mart. The hotel offers a 24-hour front desk and free parking. On-site water sports facilities, such as snorkeling, are available. You can rent a car from the tour desk.